Oldham Council PFI debt up 13% in 2014/15 to almost £271 million. 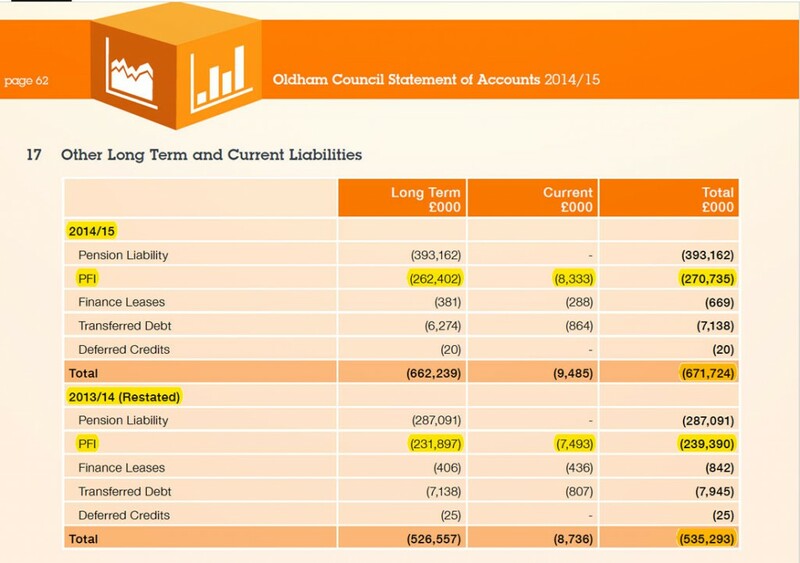 Oldham Council increased its PFI liabilities by 13% in 2014/15 to an unbelievable £270,735,000 the council also increased its financial capital commitments for construction & plant by 349% from a year earlier. The Councils vast retail property portfolio amassed in recent years and based mainly in Oldham Town Centre depreciated in value by a huge 10% in the single year to 31 March 2015.